Canon have just launched its Professional Print & Layout software (PPL) exclusively for the PRO range of Canon large-format printers, simplifying functions essential for professional photo printing. 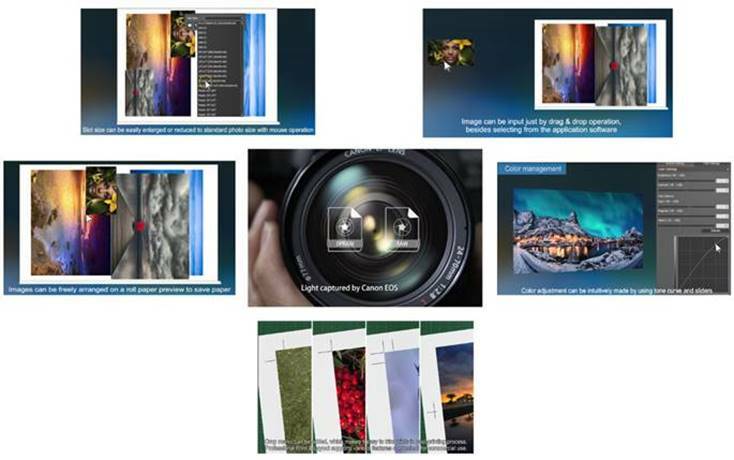 PPL can be accessed as a stand-alone program or as a plug-in from programs such as Canon Digital Photo Professional as well as Adobe Photoshop and Lightroom. The easy to use interface allows for quick navigation of printer settings, image layout and colour management. Your customers can input images directly into template layouts via drag and drop, providing photographers with more freedom to easily create final print jobs and achieve the results that they expect from a world leader in imaging technologies. PPL is available as a free download from the Canon website HERE . Two videos for the product can be found HEREand HERE.